The annual Economic Report of the President, which is written by the White House’s Council of Economic Advisers, takes aim at gasoline and diesel taxes, which have been the primary funding source for the U.S. Highway Trust Fund since the 1950s. The report says that more fuel efficient vehicles “pay less than the marginal costs generated by their use of roads in terms of wear and tear, congestion and other external costs.” Fuel taxes also create a funding divide between rural roadways and more crowded urban areas, the report claims. We can’t expect tomorrow’s dwindling fossil-fuel-powered vehicles to adequately fund already under-funded highways while the e-powered elite rides free. Trying to generate more revenue from tolls, the administration asserts, would “counteract” the deficiencies it says exist with the fuel tax. Since his 2016 campaign, Trump has signaled his intent to try to use private financing, such as tolling, to generate funding for U.S. road and bridge projects. This month, the Trump Administration released an outline for its infrastructure plan, which calls for leaning on tolls and funding from states and localities — rather than federal spending — to bolster highway funding. Trump’s plan also would repeal the current ban on Interstate tolling. Trucking groups have sharply rebuked the president’s plan for an increase in tolling. 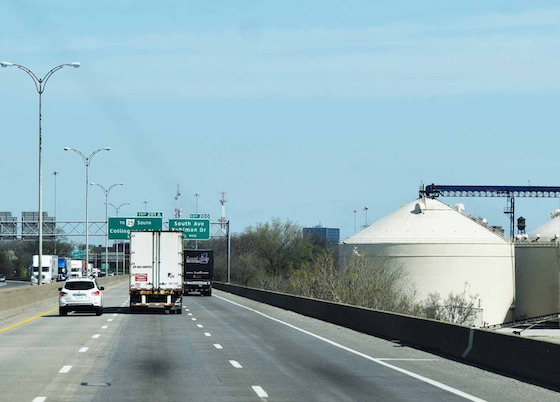 The American Trucking Associations, which put forth a bulletin in January lobbying Congress to raise the per-gallon gas and diesel taxes to stabilize U.S. funding for roads and bridges, says tolling is “a road to nowhere.” ATA also noted then that trucking pays 45 percent, via diesel taxes, of the HTF’s annual revenue. 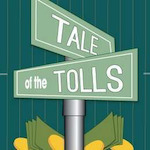 “Study after study shows the shortfalls of tolling and the unintended consequences that tolls impose on motorists and surrounding communities,” said ATA President and CEO Chris Spear in January. 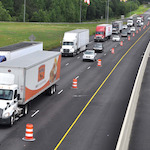 ATA has called for a the per-mile gallon on gasoline and diesel taxes to be increased 20 cents — 5 cents a year over the course of four years — to ensure the solvency of the Highway Trust Fund. Gas and diesel taxes were last increased in 1993. These flat rates, 18.4 cents a gallon for gasoline and 24.4 cents a gallon for diesel, have become more ineffective due to inflation and more fuel efficient vehicles, which have crimped the Highway Trust Fund’s revenue stream. “In addition to the diversion onto secondary roads which causes congestion and public safety issues, tolls will do unimaginable harm to businesses, as shipping and manufacturing prices skyrocket to account for these new costs,” the group said in a statement earlier this month. This entry was posted in Trucking and tagged fuel tax, Infrastructure, Tolls, Truckers, White House. Bookmark the permalink.